A 66-year-old man came to an internal medicine physician with a complaint of shuffling gait. He had a complex medical history, including a history of stroke. The internal medicine physician referred the patient to a neurologist. Before the patient’s scheduled appointment with the neurologist, the patient was admitted to the hospital with increasing weakness of the lower extremities. A cardiac work-up was completed and cardiac insufficiency was diagnosed. Two weeks after the initial referral, the neurologist saw the patient. A neurologic examination was documented as hyperreflexia of the lower extremities (later this was reported to be a transcription error and should have read hyporeflexia). Also noted on the exam was decreased sensation in both feet. Differential diagnosis at this time included chronic polyneuropathy with a suspicion for chronic inflammatory demyelinating polyneuropathy and normal pressure hydrocephalus (NPH). The neurologist ordered lab work, nerve conduction studies, and a lumbar puncture. The neurologist noted that he would call the patient’s cardiologist to discuss stopping the patient’s warfarin before the lumbar puncture. There is no documentation of a phone call between the neurologist and the cardiologist. Before the lumbar puncture could be done, the patient developed a viral illness and was admitted to the hospital under the care of a hospitalist. Following this hospital stay, the patient returned to the neurologist. The neurologist dictated a letter to the patient’s internal medicine physician and the patient’s cardiologist that nerve conduction studies showed decreased reflexes and that a lumbar puncture had been scheduled. 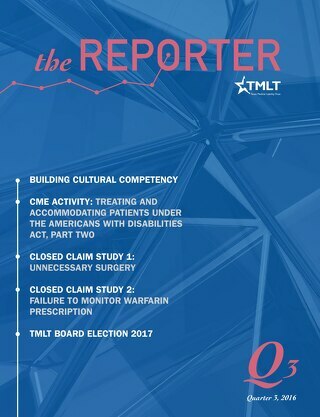 During his deposition, the neurologist stated that he instructed the patient and family to stop the warfarin; however, these instructions were not documented in the medical record. The lumbar puncture under fluoroscopy was completed as an outpatient procedure at a local hospital. The patient did not report any problems to the neurologist during a post-procedure phone call. There was no mention in the medical record about the patient’s warfarin. The hospital records did not include any discharge instructions given by the neurologist or the hospital staff. Seven days after the lumbar puncture, the patient returned to the neurologist. Analysis of the spinal fluid revealed protein 40mg/dL; WBC 18 (100% lymphocytes); and glucose 51mg/dL. The neurologist confirmed the diagnosis of Guillain-Barre Syndrome with cervical canal stenosis. The neurologist recommended treatment with IVIG. 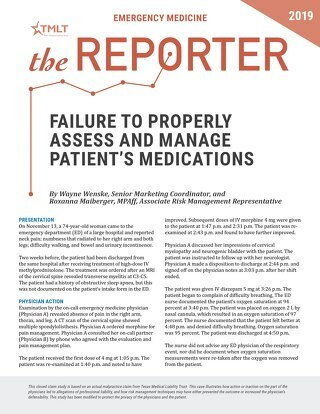 There was no documented review of the patient’s current medications or a documentation of a discussion about restarting the patient’s warfarin. Following this visit to the neurologist, the internal medicine physician saw the patient. Documentation from this visit did not include any discussion of the patient’s medications. Before the patient could be started on the IVIG treatment, he suffered a stroke and died. 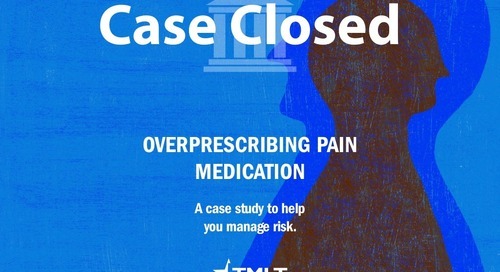 Lawsuits were filed against the internal medicine physician and the neurologist. 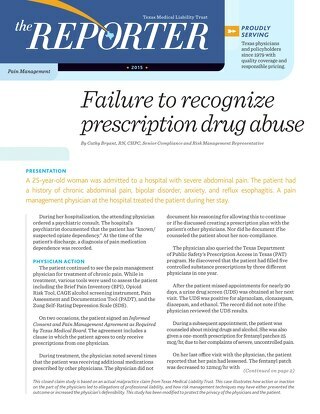 The allegations were based on the patient’s discontinuation of warfarin and the failure of the physicians to address restarting the medication. The plaintiffs claimed this was the cause of the patient’s CVA and death. 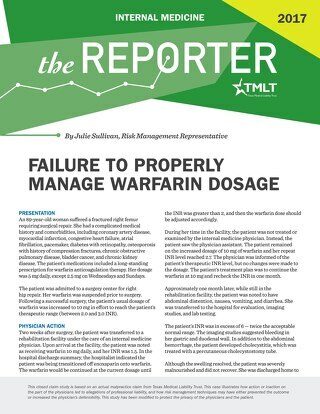 During the investigation of this claim, there was considerable disagreement about the discontinuation of the patient’s warfarin. The neurologist stated that he instructed the patient to hold the warfarin for only a few days before the lumbar puncture. The internal medicine physician, home health records, and the family all agreed that the warfarin was stopped approximately two weeks before the procedure, as instructed during the patient’s first visit. The neurologist’s medical records did not make any reference to the patient’s warfarin. This case was settled on behalf of the neurologist. The case against the internal medicine physician was dismissed. 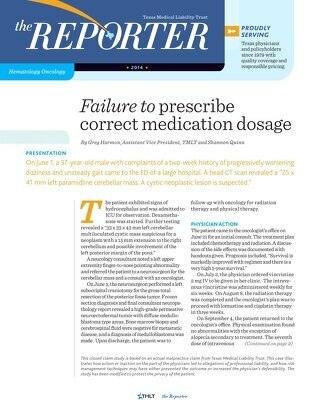 Documenting the review of current medications at each office visit is good practice. 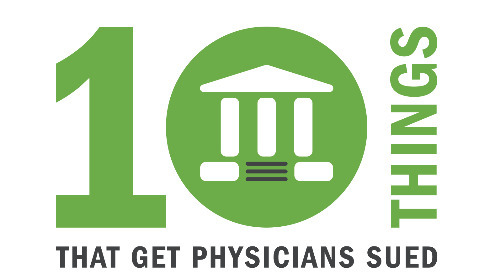 This gives the physician the opportunity to identify compliance or noncompliance with medication plans. Both the neurologist and the internal medicine physician saw the patient after the procedure and had an opportunity to determine that the warfarin had not been restarted. Developing a process to document pre-procedure instructions given to patients and families is encouraged. It is helpful to provide the patient and family with written instructions to help minimize confusion and maximize compliance with special instructions. 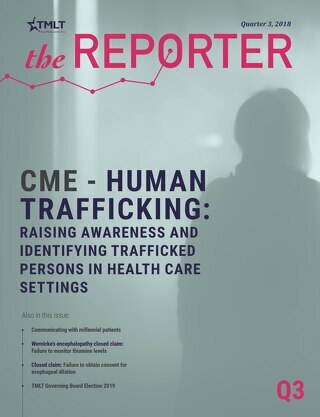 It is also helpful to document phone calls with the patient, the patient’s family, and other practitioners. 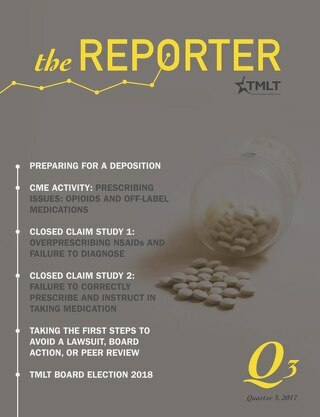 This documentation provides valuable information to subsequent treaters and may play an important role in the defense of the case, if litigation occurs. 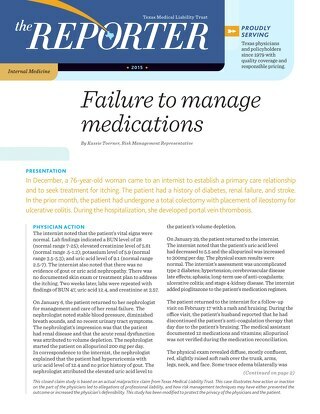 Good communication between caregivers is a valuable tool for the management of patients on anticoagulants. 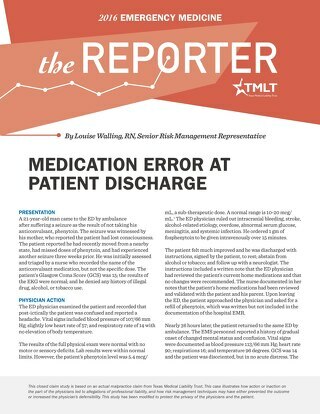 When multiple physicians are involved in the care of a patient, it is helpful to determine and document who will be responsible for the management of the anticoagulation therapy. 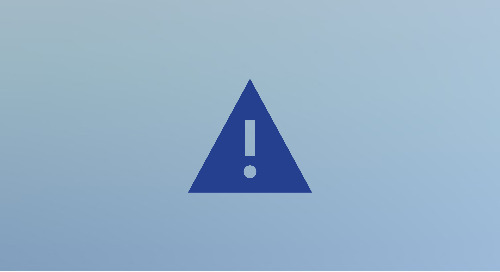 With outpatient procedures, it is important to communicate post-procedure instructions to be included in the patient’s discharge instructions. Complex medical problems, multiple medications, and a compliment of medical specialists may result in confusion for patients and their families. This can lead to noncompliance with the medical management plan. In this closed claim, the discontinuation of warfarin to facilitate a lumbar puncture may have contributed to the patient’s subsequent CVA. Communication between providers and patients is essential to ensure compliance. Documentation in the medical record of special instructions and patient/family understanding of them is important in the defense of insured physicians.